There are many ride possibilities ranging from mellow meadows to sharp climbs and fast descents to rolling alpine terrain. Below are a few ideas for rides of different lengths and flavors. Click on each image for the corresponding route details on Strava (best viewing requires an account). The routes in our local riding area incorporate side roads, secondary roads, and of course, Highway 99. As the popularity of Whistler has grown in recent years, so has vehicle traffic, particularly mid-June through mid-September along Highway 99. Mindful of that trend, our club schedules weekday rides during evening hours, and weekend rides on Sundays when commercial vehicle traffic tends to be lighter. The Resort Municipality of Whistler has created a brochure about road cycling routes and safety tips called Road Cycling in the Sea to Sky; you can click on the image to read through, or pick up a physical copy from the Whistler Visitor Information Center on Gateway Drive. A mellow and scenic ride with minimal traffic. You can make this route easier by omitting Paradise Valley Road and sticking to the flatter Squamish Valley Road. 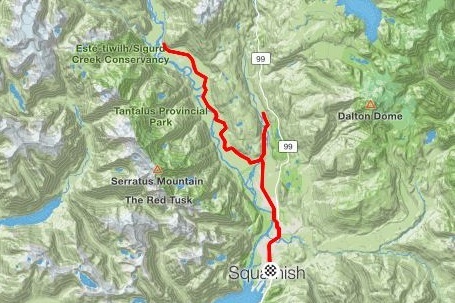 You can also shorten the route by starting from Alice Lake Provincial Park rather than downtown Squamish as the Strava Route does. Sleepy roads, rolling hills and stunning views of Gates and Anderson Lake, what more could you ask for! Be sure to bring an extra gel or two as there’s often a headwind on the way home. A great way to see the town! Follow the Strava route to hit all the local hills, or just pick your favorites to shorten the ride. Whatever you choose, get ready to climb! We recommend starting on the north end and going clickwise. That way, you can start your ride with a coffee at Cranked Espresso Bar in Rainbow, and finish with a dip in Alta Lake at Rainbow Park. For the really keen riders (and Strava junkies) most climbing segments on this route also have a ‘double-up’ segment. 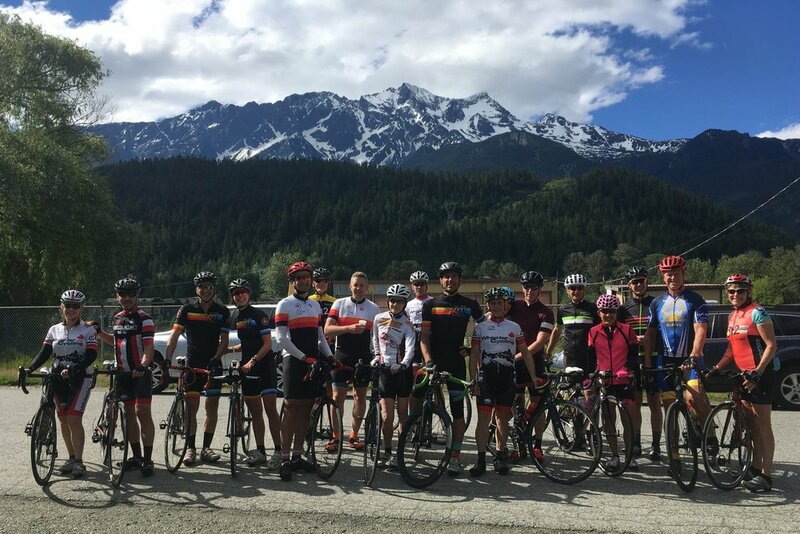 Probably the most popular ride in Whistler, this route takes cyclists up the Callaghan Valley to Whistler Olympic Park, site of the Nordic events for the 2010 Olympic and Paralympic Winter Games. Head south on Highway 99, 13.7 km to the Callaghan Valley turnoff. The climbing starts right away, but the pitches are interspersed with plateaus where you can recover. The road is quiet and black bears are often seen grazing in the area. Leave them alone and give them space and they’ll ignore you and we’ll all get along just fine. The big descent will offer stunning views of Black Tusk, and a chance to recover before you climb your way back to Whistler. The Ironman bike route has changed in recent years, but we reckon the original version (presented here) is the best one. Starting from Rainbow Park on Alta Lake Road, follow the Whistler Olympic Park route (above). Once you’re back in Whistler, stay on Highway 99 to Pemberton, and enjoy a flat out-and-back section before you climb back to Whistler. Pro Tip: On your second pass through Pemberton, pop into Mile One Eating House to power you the rest of the way home. Best burger in the Sea to Sky corridor! The elevation profile says it all! 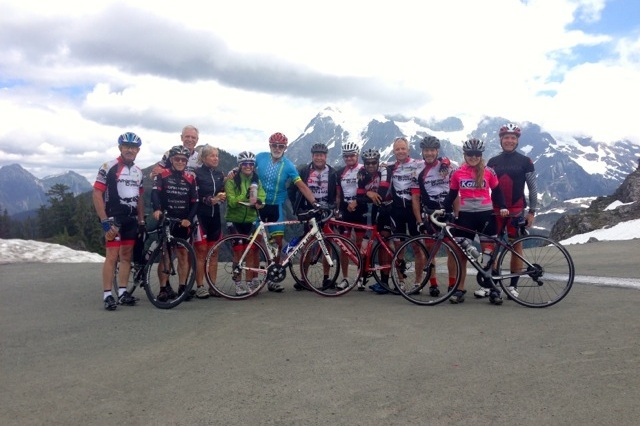 Starting from Pemberton you’ll get a 15 kilometer warm up before the work begins. 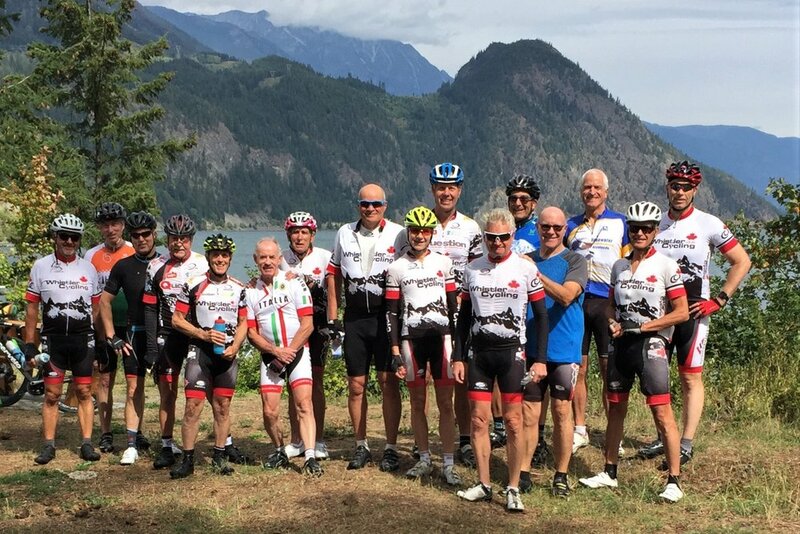 Once you hit Lillooet Lake you’ll be faced with several switchbacks with a 12% grade. Not to worry though, after 3k the grade eases up and you’ll get a steady climb to the Joffre Lakes parking lot, and beyond. Due to the popularity of Joffre Lakes, this can be a busy road through the summer, so stay alert and share the road.